A global push to grow domestic defense industries will have a dramatic impact on the Western defense export market over the next decade, a new report is warning. Authored by Daniel Yoon and Doug Berenson, the report by Avascent, “Dynamics of International Military Modernization 2016,” concludes that while many challengers will emerge, the trio of Israel, South Korea, and Brazil provide the most immediate threats to Western markets, Defense News reports. The Pentagon appears to be no closer to reaching an agreement with Lockheed Martin on contracts for the production of 151 F-35 Lightning II aircraft as part of low-rate production lots nine and 10, FlightGlobal reports. The F-35 Joint Program Office and the aircraft manufacturer have been trying to come to an agreement on pricing for the 57 total aircraft in Lot 9 and the 94 jets in Lot 10 since wrapping up an agreement for Lot 8 for 43 aircraft in October 2014. The US drone strike that killed the Taliban’s leader also has set up a potential leadership struggle between two of the terror group’s up-and-comers — and might signal more attacks on Western targets, NBC News reports. Government information technology systems used to send alerts about severe weather, process millions of tax returns, track hazardous waste incidents, and even protect the US nuclear arsenal, all rely on outdated or unsupported hardware and software, according to a new watchdog report in NextGov. The application programming languages undergirding some federal IT systems were new when “The Andy Griffith Show” premiered, according to the Government Accountability Office’s new report, which was presented to Congress on May 25. Obama administration officials want Congress to back a revolving fund to modernize legacy IT systems, FCW reports. With the lifting of the US arms embargo to Vietnam, a US defense industry source indicates Hanoi is seeking to improve its air defense and maritime security capabilities with the procurement of F-16 fighter aircraft from the US Pentagon’s excess defense articles program and refurbished P-3C Orion maritime patrol aircraft, armed with torpedoes, Defense News reports. The source also said Vietnam could seek US-made UAVs for maritime intelligence, surveillance, and reconnaissance missions. 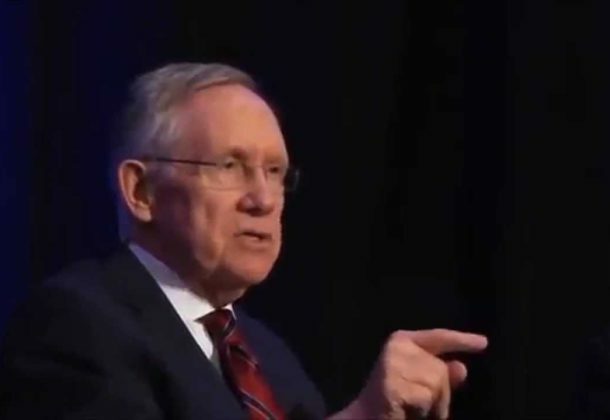 Concerned about major acquisition programs being routinely stalled by companies protesting losing the contract award, the Senate Armed Services Committee wants to up the ante on filing a complaint with the Government Accountability Office, Defense Daily reports. Unemployment among U.S. military spouses is costing the economy up to $1 billion annually, according to a new report released Wednesday. The report, commissioned by Blue Star Families and carried out by the Sorenson Impact Center at the University of Utah, looked at unemployment and underemployment rates among female military spouses and their effect on the economy, The Hill says. Military spouses are unemployed at a rate of 18 percent, compared with a 4.4 percent rate for their civilian counterparts, the report found. Meanwhile, underemployment, where people hold a job below their level of training, runs between 35 to 40 percent for military spouses, according to the report. An Iraq veteran who reached the summit of Mount Everest on Tuesday was the second combat amputee in a week to climb the world’s highest mountain. Chad Jukes, 32, lost his leg to a roadside bomb while serving in the US Army and climbed Everest wearing a prosthesis, USA Today reports. Thomas Charles “Charlie” Linville, 30, summited the mountain on Thursday. Linville, who had his right foot amputated, was the first combat-wounded veteran to reach the summit of Mount Everest, according to the Heroes Project, an organization that leads veterans and active service members on mountain expeditions. L-3 Communications Vertex Aerospace, Madison, MS, is being awarded a $302,208,932 firm-fixed price, indefinite-delivery requirements contract for logistics services in support of the C-12 utility lift aircraft, including post-production, full commercial-type aircraft maintenance, logistics support, and materials for Marine Corps Reserve C-12 (UC-12B/F/M/W) and Navy TC-12B trainer aircraft. Work will be performed in Corpus Christi, TX (42 percent); Patuxent River, MD (6 percent); Manama, Bahrain (6 percent); Guantanamo Bay, Cuba (6 percent); Atsugi, Japan (6 percent); Beaufort, SC (4 percent); San Angelo, TX (4 percent); New Orleans LA (4 percent); Yuma, AZ (4 percent); Iwakuni, Japan (4 percent), New River, NC (3 percent); Kadena, Japan (3 percent); Manassas, VA (2 percent); Miramar, CA (2 percent); Futenma, Japan (2 percent); and Misawa, Japan (2 percent), and is expected to be completed in July 2021. No funds are being obligated at time of award; funds will be obligated against individual delivery orders as they are issued. This contract was competitively procured via an electronic request for proposals; five offers were received. 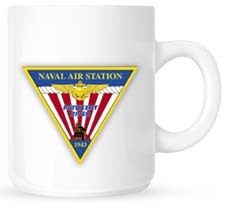 The Naval Air Systems Command, Patuxent River, MD, is the contracting activity (N00019-16-D-0044).